Please fill out form to download the most recent SunGrown Zero lecture slides. As legalization drives commodification of cannabis, wholesale values continue to decline – perhaps faster than most thought. Cultivators are simply not enjoying the same margins in days past, and all signs point to margin pressure getting even tighter. In an effort to identify the most resource efficient technologies to improve operational resiliency, the use of tubular daylighting devices to drive plant growth an indoor environment was examined, the result being “Cold Sunlight”. 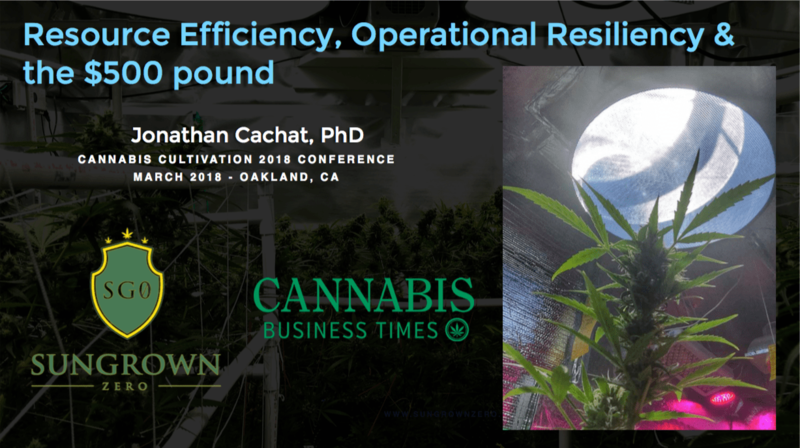 Join Dr. Jonathan Cachat, PhD – SunGrown Zero – for an overview of the research and development process, early indications, and implications for the industry. SunGrown Zero is a hybrid-lighting facility design & technology suite that represents significant advancements in sustainable and efficient indoor agriculture.